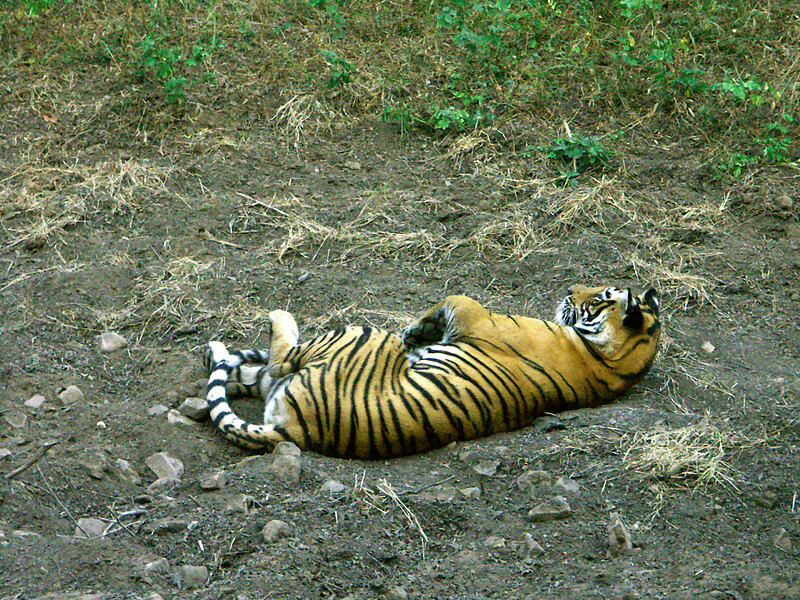 Machali (T 16) – Ranthambhore’s best known tigress worldwide – Born: monsoons 1997 and still alive at 19 years. 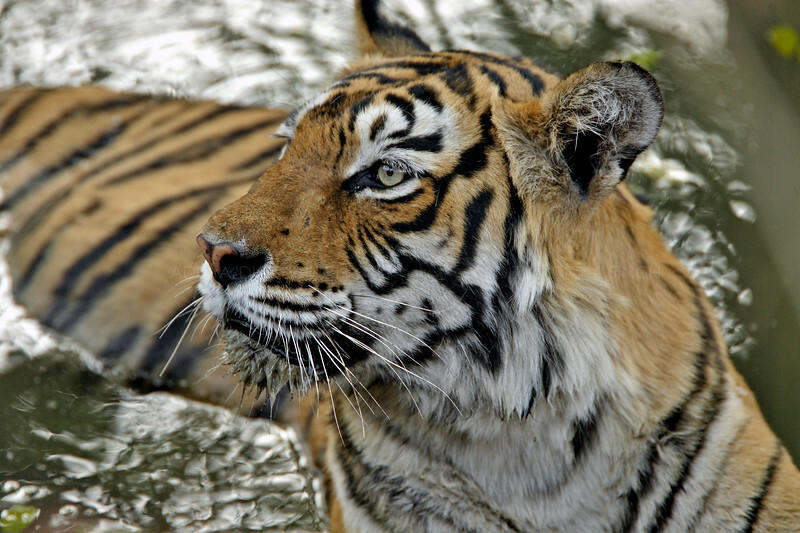 Machali (numbered T 16 after 2007) was born in the monsoon months (July-September) of 1997. She was part of a litter of three female cubs born to “original Machali.” By the end of 1999 she had matured and took over a part of her mother’s large territory around the area of the lakes in Ranthambhore national park. Her mother was known as Machali because of a mark on her right cheek that looked like an outline of a fish. However a BBC documentary film that was broadcast in 2002 renamed the daughter “Machali” and the name has stuck since then. There are too many versions of her timeline’s story going around with some newspapers even celebrating her 20 birthday recently. I thought it is a good time to clear some of those myths. I don’t think I can clear them all as the stories about her grow she does. How am I qualified to clear these myths ? 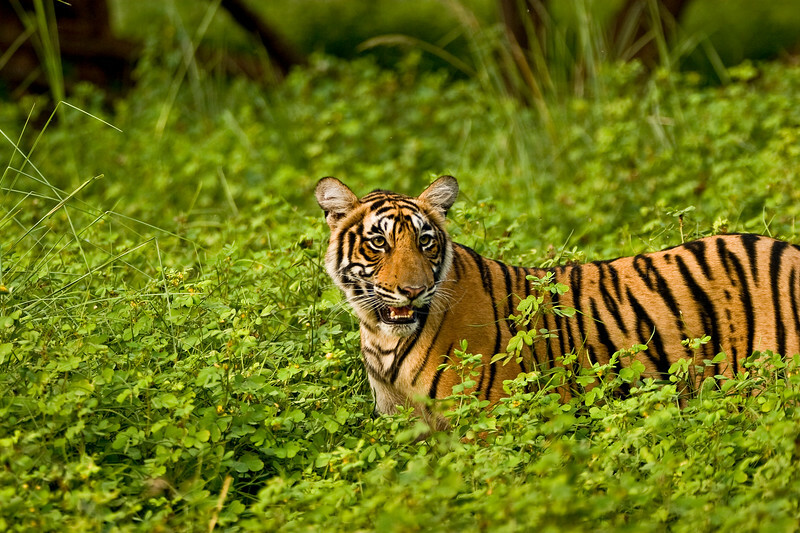 I relocated to Ranthambhore when Machali was still a juvenile spending time with her mother and two sisters. Both of us are still here. 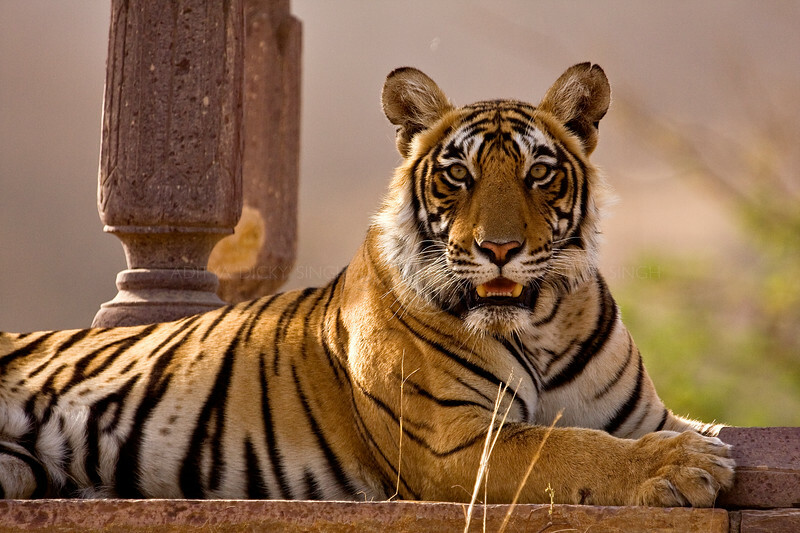 I had first seen her near Takia ki Kui in Ranthambhore when she was around 7 or 8 months old. Her mother had killed a Sambar near this waterhole and the family of four spent a few days over there, to my wive’s and my delight. 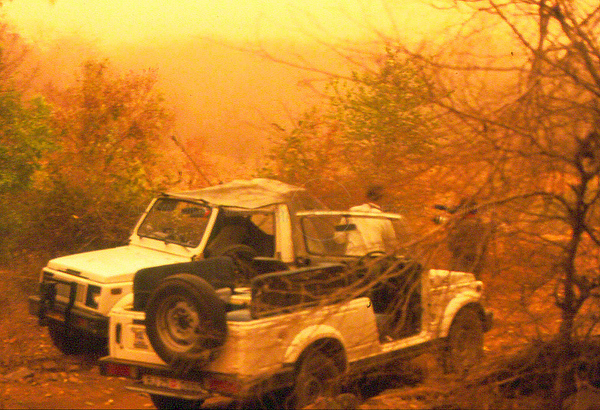 Between 2000 and 2011, I have either worked or been closely associated with film documentary projects on Machali. In the summers of 2000 she mated with the then largest male in Ranthambhore called “Bamboo Ram” and had her first litter of two male cubs in the early monsoons of 2000. These two cubs were called “Broken Tail” (because the end of his tail was broken) and “Slant Ear” (for no apparent reason though Billu Chauhan always though his ear was slanted). 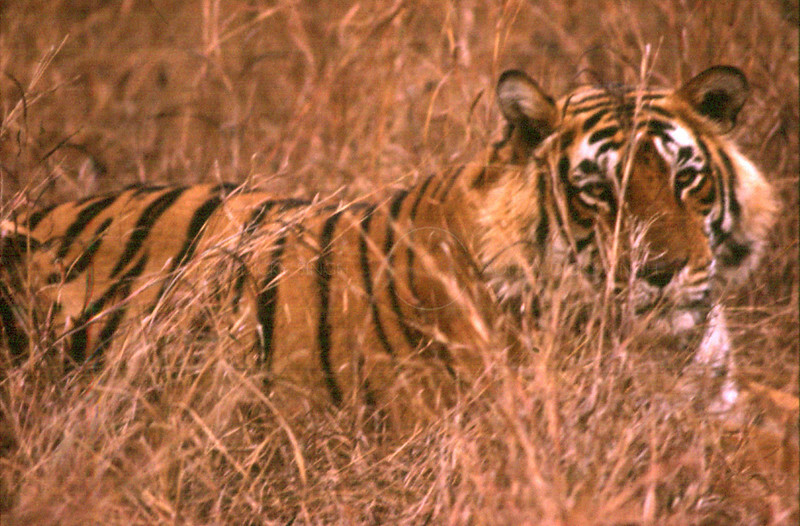 Bamboo Ram picture from 2000 – the largest male tiger in Ranthambhore then – who became famous after the then US president Bill Clinton saw him on a safari in 2000. By the end December 2001 both the cubs had grown up and it was time to separate from their mother. Slant Ear disappeared soon after separating from his mother and was never seen again. However Broken Tail survived in a fringe of the park till early 2003 and then went on an epic journey all the way to the Darra Sanctuary in Kota, where he was run over by a passenger train in August 2003. Machali mated with another male Nick ear in early 2002 and had a second litter by April 2002. Bamboo Ram had died of old age by this time. I first saw three cubs on 30th June 2002, on the last safaris in the park for that season. 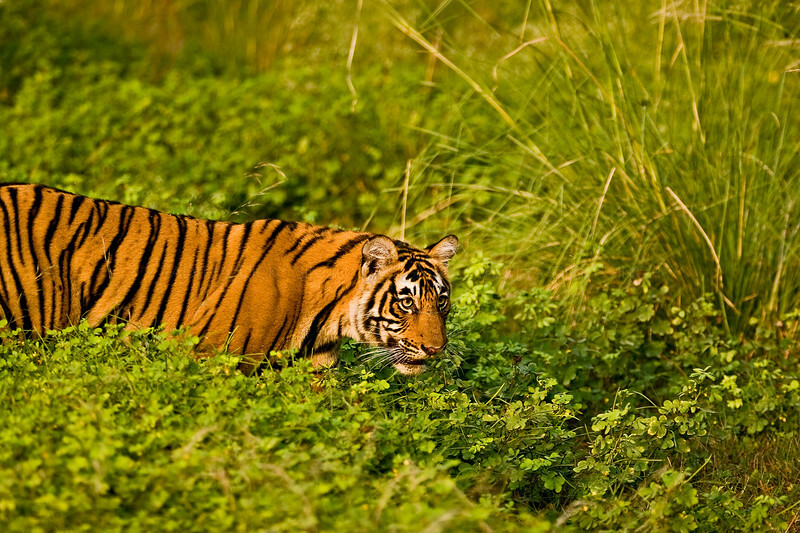 One cub probably died in the monsoons, as only two were seen when the park reopened in October 2002. 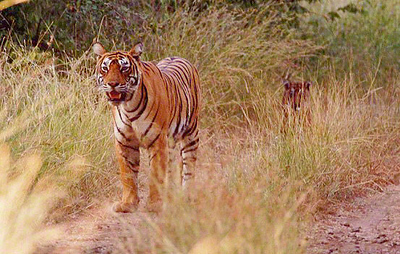 These two – one male and one female – were called “Jhumroo” (male who is now the biggest male in Ranthambhore national park and is numbered T 20) and “Jhumree” (a female who disappeared in 2004, when India was going through a massive spate of tiger poaching), so named by G S Bhardwaj, who was the Deputy Field Director then. These two stayed with Machali in the lakes till the end 2004, when Machali mated again with “X male” (later numbered T2). Soon after Jhumree was pushed out by Machali (and never seen again), while Jhumroo stayed on for a few months longer and then moved to Lahpur valley – Jed Kho area in the park, where he has stayed since. Jhumree picture from 2004. Minolta Dimage digital camera was a big hit then. In March 2005 – Machali had a third litter of two cubs, a male called “Bahadur” (later numbered T3) and a female called “Sharmelee” (later numbered T1). By this time Machali had lost three of her canines and we did not expect her to have any more litters but she surprised us all. They stayed with Machali till the monsoons of 2006, when Machali had her fourth litter. Soon after she had her fourth litter, she turned aggressive towards Sharmelee and pushed her to the Lakkarda valley, while tolerating Bahadur, who was seen with the small cubs of Machali’s fourth litter till some months later. Soon Bahadur established himself in the Bandarwal Baori – Thumka area of the park, where she still lords. 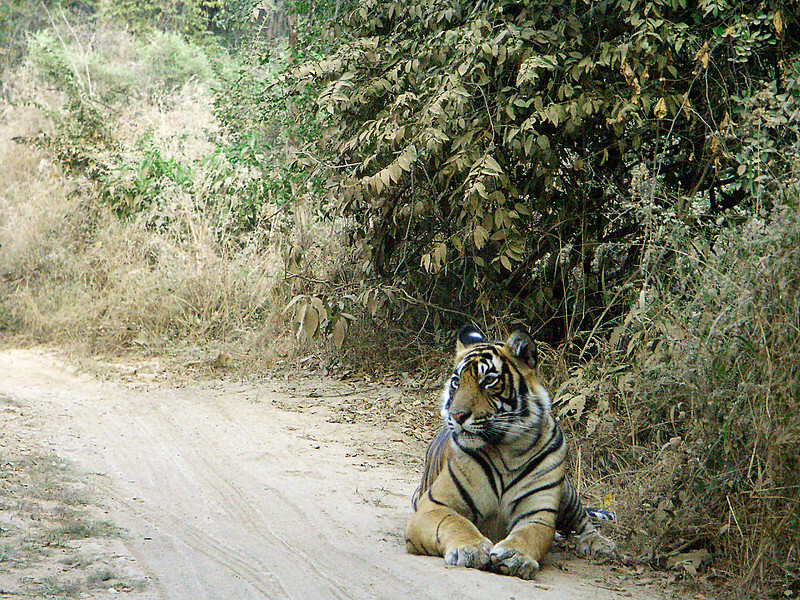 Sharmelee was later relocated to Sariska where she is now known as ST 2. Bahadur or T 3 picture from late 2006. By then I had got myself Digital SLR cameras. Sharmelee running along the Rajbagh lake in late 2006. By the beginning of summers of 2006, Machali started mating again with X male and by late monsoons she had a fourth litter of 3 females cubs. 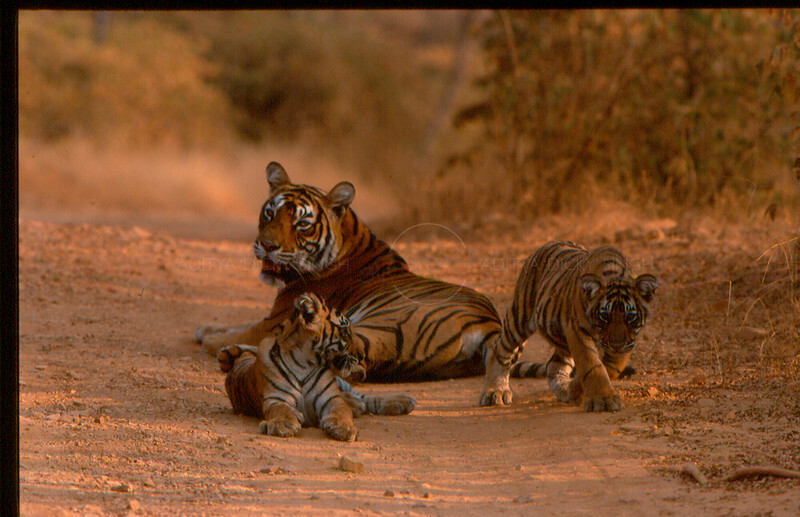 These three cubs were numbered T 17, T 18 and T 19. All three of these cubs are now dominant females of their area. While T 18 was relocated to Sariska (renumbered from T 18 to ST3), T17 (“Sundari” who died of injuries sustained in two different fights with two different males) and T 19 (or “Krishna”) had carved out their own territories in the park. They each had one litter of 3 cubs each, before TT 17 died. Both these litter are fully grown up and T 19 has had another litter of three cubs who too are nearly fully grown up right now. Incidentally, Colin has spent nearly 4 full years (most of them from sunrise to sunset with total access to the entire tiger reserve) in Ranthambhore filming Machali and / or her progeny. In my opinion there are very very few people alive who understand Ranthambhore better than him. 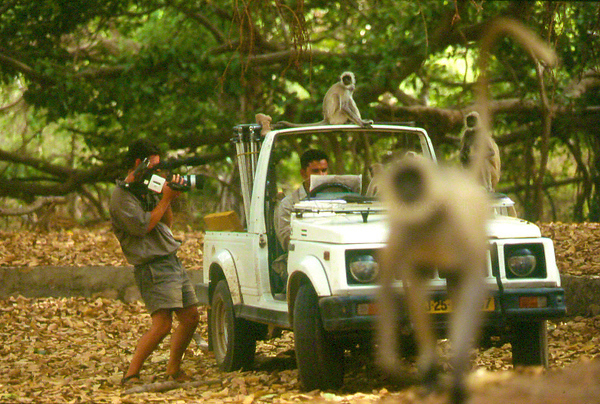 Salim Ali, Billu Chauhan and I are fortunate to have spent over 1000 days working with Colin. He laid the foundation for the three of us. Besides Colin, a few great Indian photographers on the pre digital generation, like N C Dhingra, Jagdeep Rajput, Hira Punjabi, Dr Venkat amongst other have documented this amazing tigress since she was a cub. Most of those pictures were shot on slide films and I consider myself lucky to have seen many of them. Colin filming “behind the scenes” in Jogi Mahal in the summers of 2002. 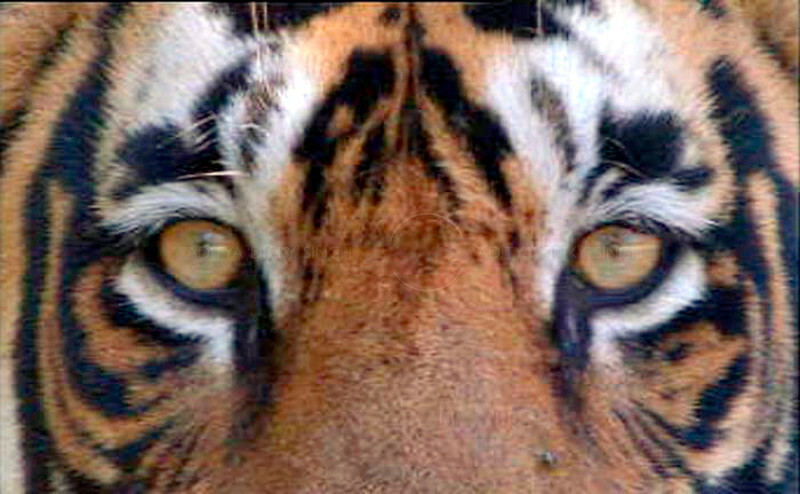 The Tigers Fortress (A Natural World Film) project started in end 1998 – early 1999 and the film was released after 200 days of shooting in 2000. In 1999 Colin shot a lot of footage of Machali and her two sisters (T 14 and T 15) along with their mother around that area of the lakes of Ranthambhore. Towards the end of 1999 these there sisters became independent. 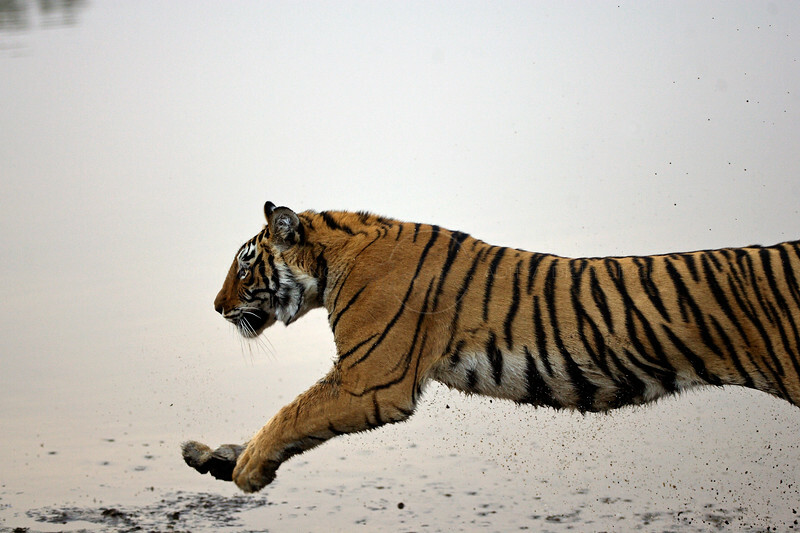 While Machali established her territory along the lake, her two sisters moved over to Sultanpur area and Phoota Kot – Guda area, respectively. Another interesting fact is the “Danger in tiger’s paradise” was the first documentary on an particular individual tiger. Till 1997 it was widely believed that the one sure way to identify different tigers was by checking their pugmarks. In 1997 the pugmark idea for identification was replaced around 1997 by the correct idea that the pattern of stripes was the only way to identify different tigers. 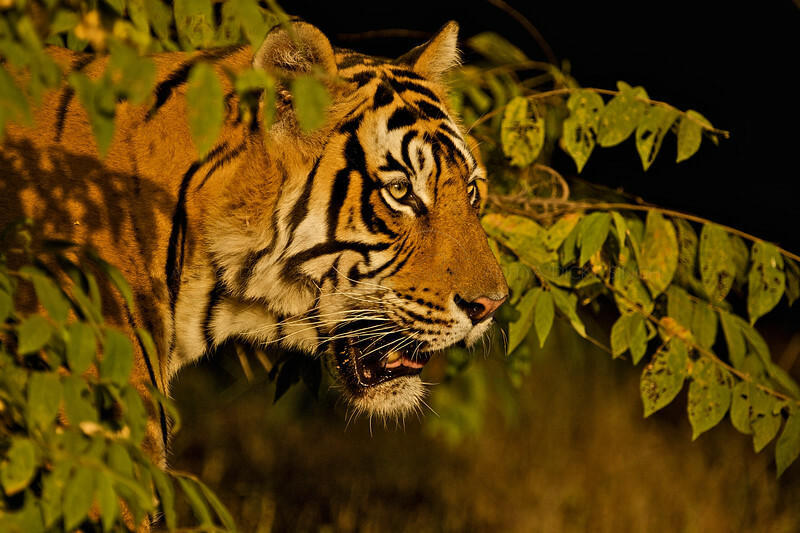 In Danger in Tiger’s Paradise it was my job to ascertain the identity of different tigers. Aditya, I found a sentence in above write up which I fairly couldn’t believe that it came out from your pen. It’s not too long ago in 2013 when the entire nation gone crazy about the sudden disappearance of T17 aka Sundari. RTR couldn’t managed to pronounce anything even after 100s of rangers were deployed for her search for months. However a consolidating story was aired that Sundari may have died. After all this, from where could you conclude that “T17 (“Sundari” who died of injuries sustained in two different fights with two different males)”? excellent read! which is the usual with your pieces Dicky! Very well described…nice to know she is still alive. I read that the localites arrange for her food…is it true? Thanks Dicky for all info regarding Machali ! !